Welcome to part two of our January 2019 Inspirational Interview with Caroline LaPorte, J.D. Senior Native Affairs Policy Advisor, National Indigenous Women’s Resource Center and StrongHearts Native Helpline. Caroline LaPorte is the Senior Native Affairs Policy Advisor for the National Indigenous Women’s Resource Center (NIWRC) and is based in Washington, D.C. 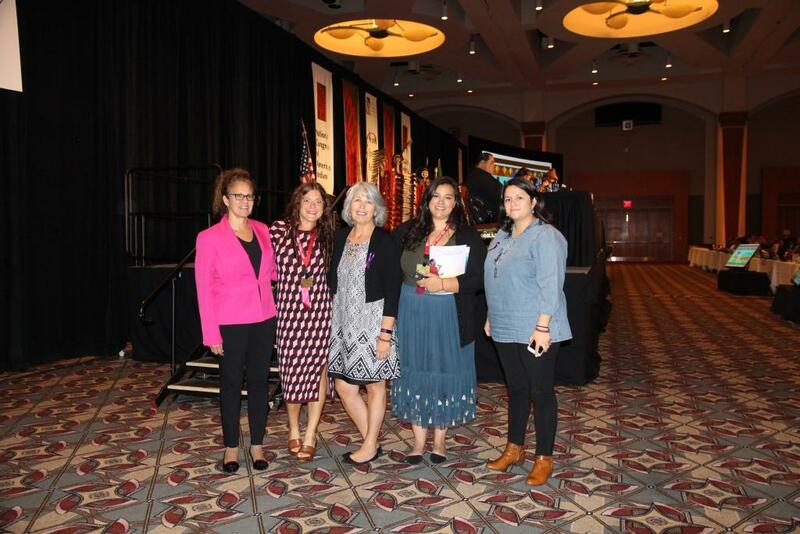 Her work focuses on housing, human rights, children and youth, firearms and criminal justice affecting American Indians and Alaska Natives all within the gender-based violence framework. She is a Texas Bar Licensed Attorney and previously worked as a family law attorney and at Dallas CASA (Court Appointed Special Advocates), an organisation that represents children in foster care. In this part of the interview, Ms. LaPorte talks about the issue of missing and murdered Native women in the U.S., how men and boys can help end violence against women, and NIWRC’s plans for the next 5 years. All photos courtesy of NIWRC. 6. The longstanding and urgent issue of missing and murdered Native women (MMIW) in the U.S. is only recently slowly coming to the fore after years of being overlooked and unacknowledged by the government and the media. Over the decades, what sort of impact has NIWRC had on the U.S.’s approach and attitudes towards violence against Native women and girls? Our role in this space has been to look at legislative reforms and the local response to this crisis. We have partnered with the Senate Committee on Indian Affairs, with former Sen. Heidi Heitkamp, with the National Congress of American Indians and the Indian Law Resource Center, with our strong tribal coalition sisters, tribal leadership and with grassroots advocates to elevate policy and legislative reforms that are needed to address this issue. This past year we have held Hill Briefings and even had an event at the Capitol Visitor Center in which we screened the feature film, Wind River, for Hill staffers. With that has come the ability to educate, again, on dispelling stereotypes and over-generalisations which often frustrate the response to these cases. Of course, with regards to MMIW, we are always concerned with jurisdictional issues, access to federal criminal databases, addressing vulnerabilities that make Native women more at risk for victimisation, and with the general ownership that non-Native individuals seem to feel over Native women’s bodies. MMIW really speaks to the issues of colonisation and genocide. The lack of response really speaks to the level of state-sanctioned violence that Native women must contend with and that tribal governments must be empowered to address. 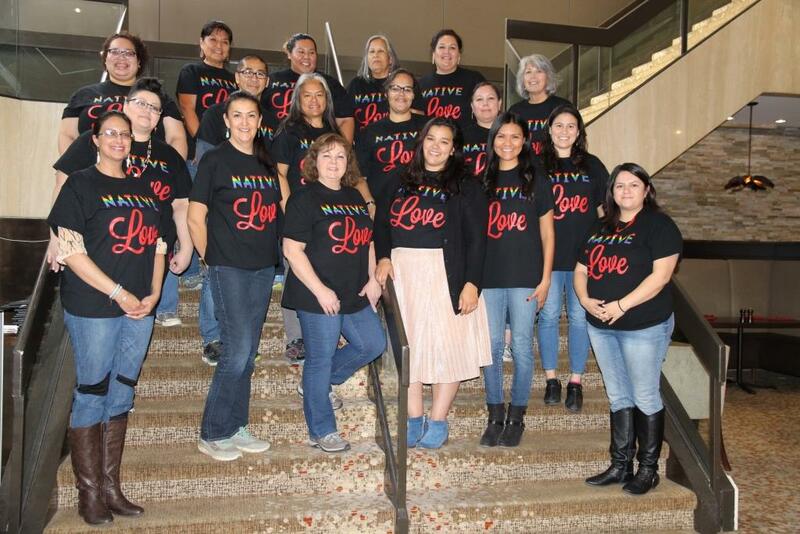 NIWRC has helped increased awareness and media exposure to issues by presenting on covering violence against Native women to Native and Non-Native journalists. We also raised the level of awareness through our social media platforms by distributing digital postcards with statistics and key information about violence against women that are then shared and passed digitally. We hear about and promote grassroots organising efforts at tribal, state and federal spaces. Again, the pulse is really on the ground. At the national level, we elevate the expertise of the grassroots groups and tribal leadership. First, I do think it is incredibly important to state that men and boys themselves often experience domestic violence (DV), dating violence and sexual assault (SA). There is also an accessibility issue for gender-nonconforming individuals who live their lives even further outside of the margins. So that is definitely critical to note. But from a historical perspective, colonisation was an attack on tribal sovereignty often through a primary attack on women and the matriarchal leadership that many tribes were rooted in. The gender-based aspect of this work is important from that historical perspective. To truly “end” DV/SA in tribal communities, the first impact is to reverse historical oppression and restore traditional values. This includes colonised oppressions which have sought (and in some ways have failed, by the way) to obliterate matriarchal leadership. Due to the Indian Boarding School experience and other forms of genocide that have been perpetuated on American Indians and Alaska Natives, entire generations of our people have been left with trauma, both individual, historical and intergenerational that still exist today. We have to find a way to acknowledge, address and repair this. Men and boys could ensure accountability and healing to each other to value the safety of women and girls and as a show of leadership to younger generations. This will hopefully help structure the responsibility we all have to the seventh generation (our children), who will then take those values (the traditional values) into their own lives, homes and communities. We have seen a resurgence of such values. 8. Tell us about NIWRC’s plans for the future. What campaigns, programmes, or projects do you have coming up in the next 5 years? This work is about incremental change towards a larger goal: full restoration of inherent tribal jurisdiction. Our plans are simple: continue to prioritise tribal concerns and to elevate tribal solutions to address those concerns. As stated earlier, the federal government has what is called a “trust relationship” to tribes, a relationship based on treaties and rooted in Supreme Court precedent. This relationship is legal in nature. The federal government is to fulfill its obligation to tribes and to members of those tribes by promoting tribal sovereignty and self-determination and by providing resources in order to do so. Our advocacy will always fall in line with that framework. What we know from consultation with tribes and from listening to tribes on what they need in order to ensure safety for native women starts with jurisdiction and is rounded out with resources. It is those priorities that we will continue to push. Currently, we are heavily focused on a meaningful reauthorisation of the Violence Against Women Act, on legislation and policy reform to address missing and murdered Native women, and on legislation to address the severe resource disparity that tribal communities contend with. 9. How can The Pixel Project’s supporters engage with and support the efforts of NIWRC to stop violence against Indigenous women and girls? Most importantly for us, we need allies who understand the difference between a race-based framework (which we do not support) and a sovereign (nation-to-nation) framework. This problem always appears in many issues that Indian Country faces. American Indians and Alaska Natives are citizens of 573 different sovereign Indian Nations – members of distinct political sovereigns, not a race of people. You can also seek to educate yourself and your communities on the history of how native people have been treated in the United States. Remember that Native voices need to be centralised and brought in from the margins. One way that you can become informed is through our policy magazine, which was created to elevate a central platform for our movement. Here is our latest issue. And always feel like you can reach out to us if you have questions. You can connect with us on Facebook, sign up for our Listserve, or email us at info@niwrc.org. We also rely on non-federal funding from private donations and foundations in order to do our legislative reform work. Any amount helps us in achieving those strategic reform goals that we have. You can donate to NIWRC and the StrongHearts Native Helpline at: http://www.niwrc.org/donate-niwrc. 10. In your considered opinion, how can we end violence against Native women for good? We have to address the root causes of violence in tribal communities: genocide and colonisation. Until we are willing to look at how our laws and policies have been born of and shaped by those two things, we will never be able to undo the current western legal framework we have to operate within. We can only end violence against Native women by being good relatives, returning to traditional values and customs, respecting tribal sovereignty and building capacities for tribes and tribal programmes to address these issues in their own culturally appropriate and sovereign ways.